MUSICMANIA- the first in a series of events for music lovers in Central California, and one of the largest events of its kind on the West Coast. 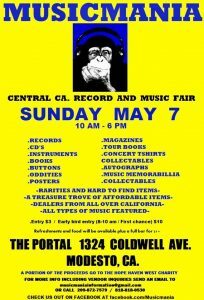 The event will take place at The Portal in Modesto on Sunday, May 7th from 10am to 6 pm. Attendees will be able to browse and pick up many music related items, meet other music lovers, and participate in the first of what will be a positive experience for the Central Valley. Over 5,000 square feet of items for music lovers. 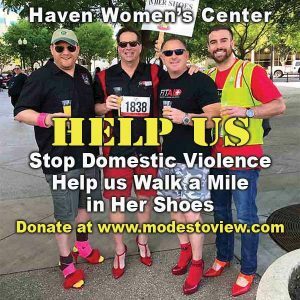 A portion of the proceeds will go to Hope Haven West, who supply wheelchairs to those in need. Entry is $3 and there will be an early bird entry at 8am (2 hours before doors open to the general public) for $10, for those who want the first opportunity to buy anything. Food and refreshments will be available.